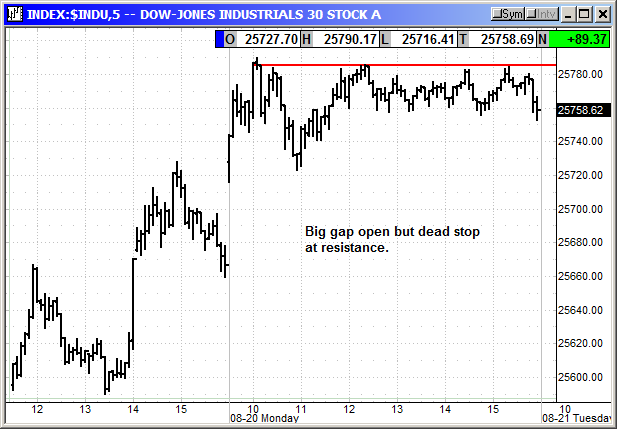 It has been a long fight but the Dow, S&P and Russell are all testing resistance highs. 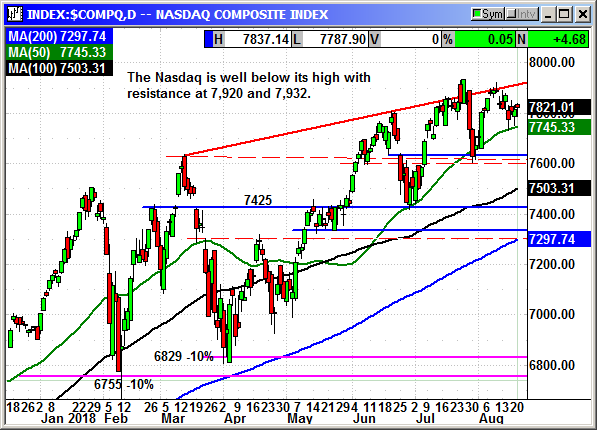 It has been a rocky seven months with two corrections on the Nasdaq and several retests of recent lows. 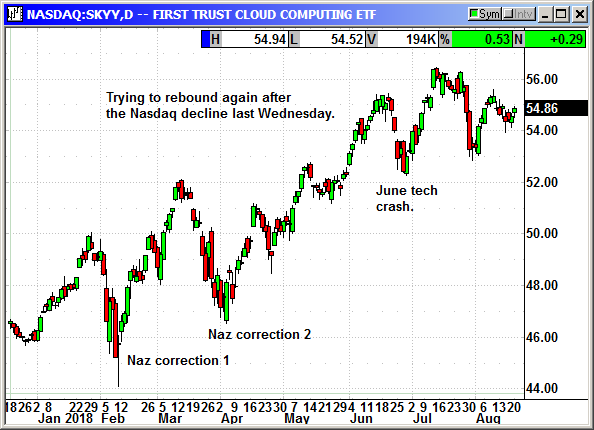 The Nasdaq sprint to new highs in July was followed by some serious profit taking. 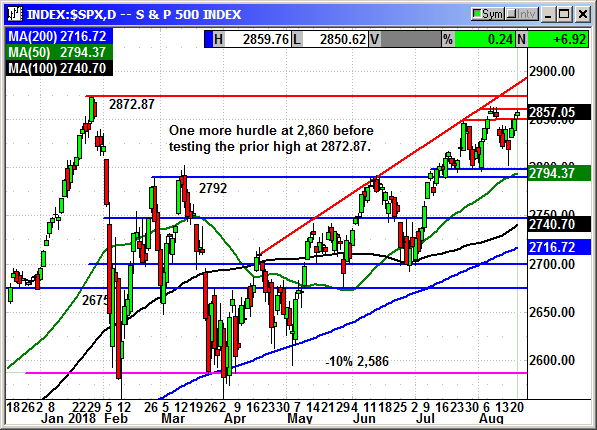 The August rebound almost retested those highs but the market breadth evaporated. I wrote multiple times about the narrow breadth driving the Nasdaq and S&P higher and how we would be in trouble when those big cap tech stocks corrected. That came to pass and after a week of declines it appears tech buyers are starting to reappear. The Dow came to a dead stop at 25,750, the Russell at 1,700 and the S&P ay 2,860. Each of those levels are critical. However, the S&P is only 16 points from a new high. The Russell is only nine points away. The Dow is about 850 points from testing the January high at 26,616 but it did close at a seven month high on Monday. The economic fundamentals are great, earnings are great and interest rates are low but the elephant in the room is the trade war with China. A nine-person delegation from China is coming to Washington on Wed/Thr for trade talks. 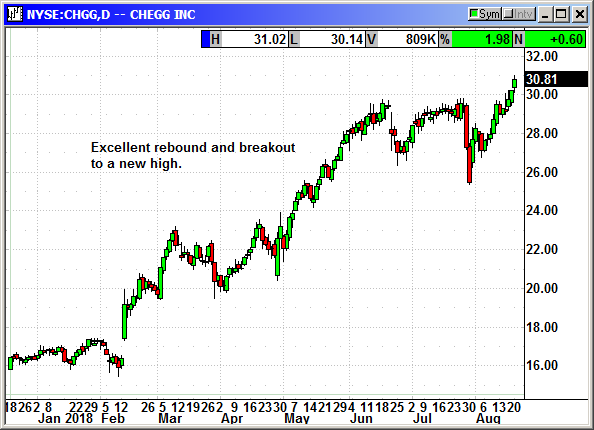 We could easily break out to new highs if the results are positive. If the delegation storms out of Washington on Thursday without making any progress, the market could collapse again. 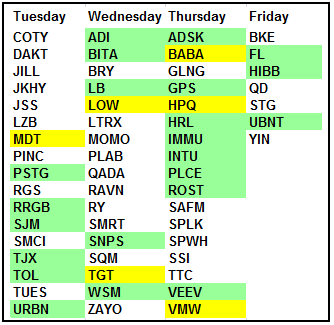 This either-or result on Thursday is likely to keep a lid on the market unless we post some solid gains at Tuesday's open. The closer we get to Thursday the more likely we will see some selling pressure as cautious traders take some chips off the table. On the positive side, if we did see some resistance breakouts, it could trigger some short covering and some FOMO buying. The S&P is so close to the prior highs that they should act as a tractor beam for the market until they are touched. What happens after that depends on the trade talks. 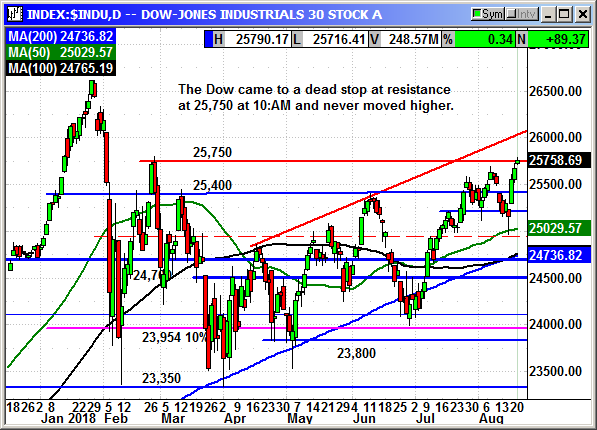 The Dow gapped up to 25,790 at the open and immediately fell back to resistance at 25,750 for the rest of the day. It was a dead stop and volume was the lowest since July 13th at 5.3 billion shares. The cloud over the market regarding the Wed/Thr meeting is keeping traders on the sidelines. The Russell came to a dead stop at 1,700 and only faded slightly at the close. This is critical resistance on the Russell and a breakout here could trigger a broad market rally. If you are wishing for anything this week, wish for the Russell to hit 1,720. The Nasdaq remains the laggard and 111 points below its high. 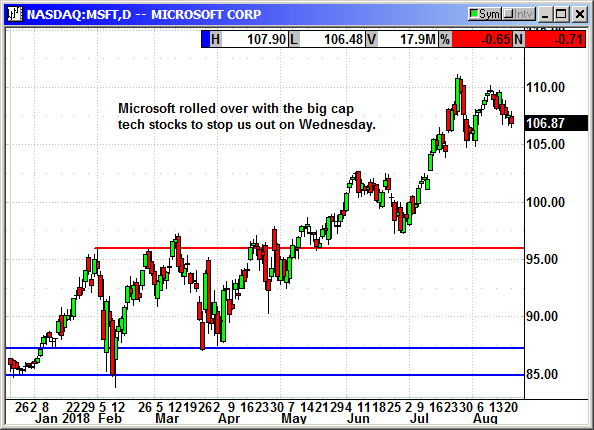 The biggest of the big cap techs were still weak on Monday but the tide may be about to turn. The index has been down for just over a week and that is typically enough to prompt a rebound. The calendar for next week is relatively light but there are some high profile events. There are bound to be a lot of headlines surrounding the trade meeting. There are rumors the meeting is to setup the basis for a summit between President Trump and President Xi for early November to work out the details of any final agreement. U.S. officials are currently in talks with Mexico and the EU with the Mexican talks expected to conclude with a deal as soon as next week. The current bull market will become the oldest in history on Wednesday when it will exceed the 1990-2000 bull market for longevity. The Fed begins the Jackson Hole Symposium on Thursday with leaders from around the world and all the major financial officers in the USA. Chairman Jerome Powell will give the keynote address on Friday morning at 10:AM ET. 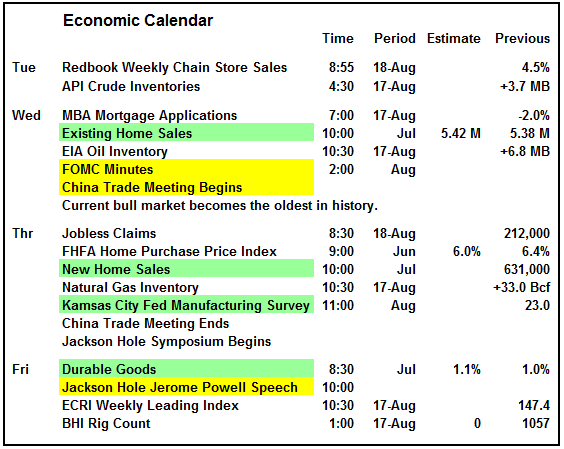 The Fed minutes on Wednesday will be the first glimpse into the thinking behind the August Fed meeting. They will point to further hikes in September and December. Those hikes are already locked in unless something happens on the global stage like an emerging market currency crisis. The Fed's rate of QT is likely to slow late this year because the government will be selling so much debt, interest rates are going to rise on their own without the Fed's help in selling their QE securities. 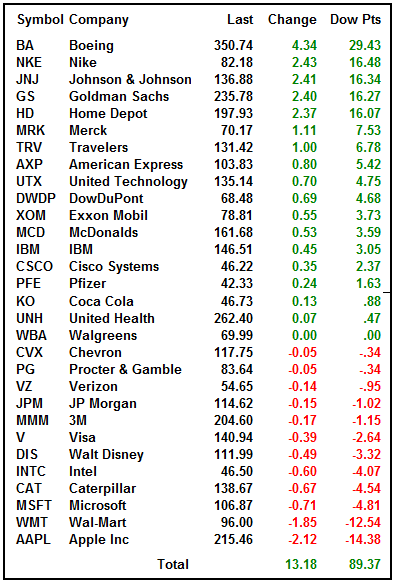 The earnings calendar has shrunk considerably but there are still some big names on the list. Medtronic, Lowe's Target, Alibaba, Hewlett-Packard and VMWare lead that list. This is retail week with a lot of retailers following up with their reports after Macy's, Nordstrom's and Walmart reported last week. With the earnings cycle nearly over, 467 S&P companies have reported and current estimates are for 24.6% earnings growth and 9.4% revenue growth. Some 79.2% of companies have beaten earnings estimates and 72.1% have beaten on revenue. There have been 55 negative guidance warnings and 33 positive guidance upgrades. This week there will be 18 S&P companies reporting. Market fundamentals suggest we could see further gains this week but the later days are going to be controlled by trade headlines. The longer the indexes remain near their recent highs the better chance we have of a dramatic move once they become directional again. A breakout could trigger short covering and price chasing as the FOMO syndrome takes hold. 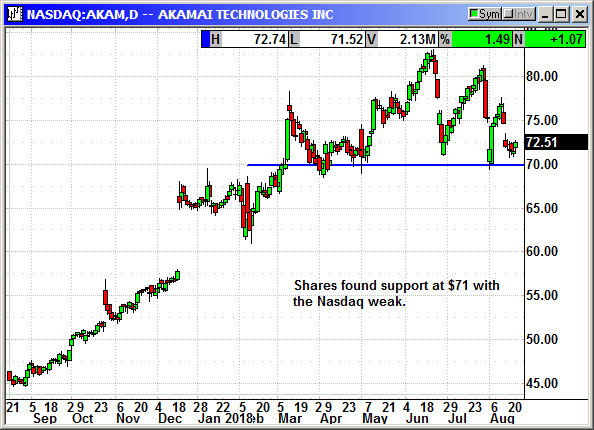 (Fear of missing out) If headlines turn materially negative and the market breaks down after a long time near the highs, we could see a significant decline as investors seek a reset before making another move higher. Buy Nov $77.50, currently $2.68, stop loss $68.85. The long position was stopped at $106.85 on Wednesday. No specific news. The earnings date is August 30th. We will have to make an exit decision next week. 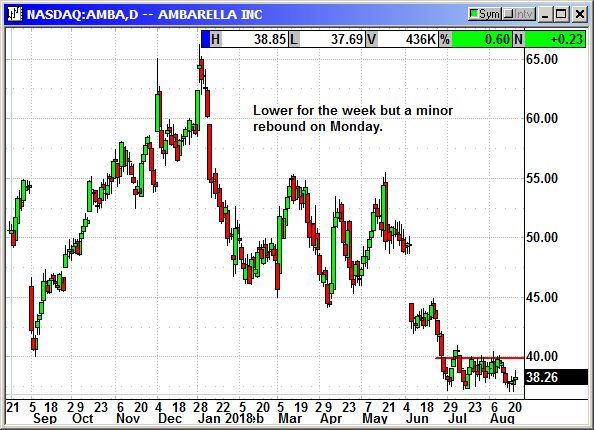 With multiple chip stocks posting disappointing results and guidance we "should" see AMBA decline ahead of earnings but a positive market could disrupt that potential. No specific news. Shares have flat lined after the earnings spike. 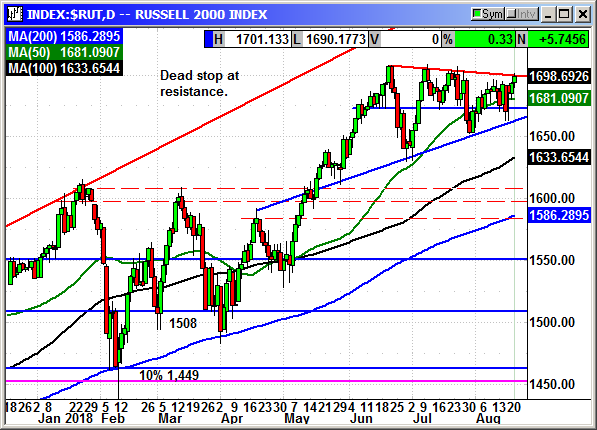 We need the small cap Russell to breakout on Tuesday to pill ANIK out of the doldrums. We closed the position last Tuesday after the Lira crash tanked all the banks. Shares are starting to recover but the problem in Turkey is not over. 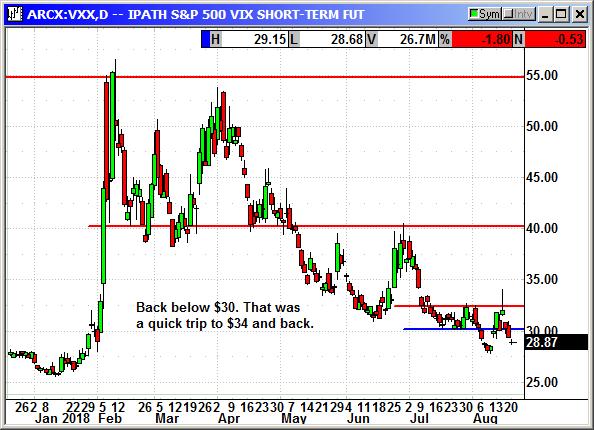 Closed 8/14: Long October $32 call @ 88 cents, exit .50, -.38 loss. No specific news. 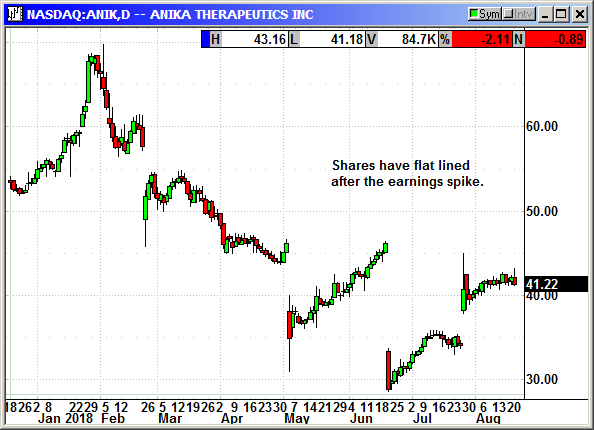 Shares recovered about all of their post earnings loss to close at a new high. No specific news. The big cap tech stocks all rolled over last week as money rotated into defensive sectors. We were stopped out on Wednesday. 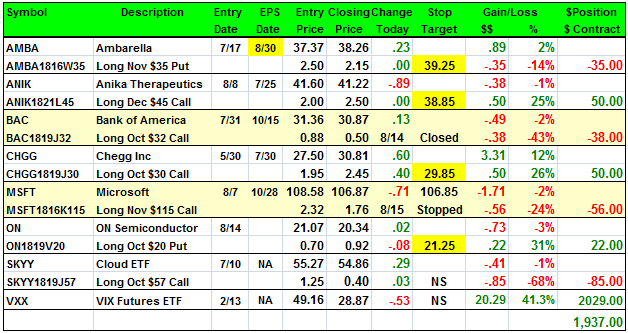 Closed 8/15: Long Nov $115 call @ $2.32, exit $1.76, -.56 loss. No specific news. 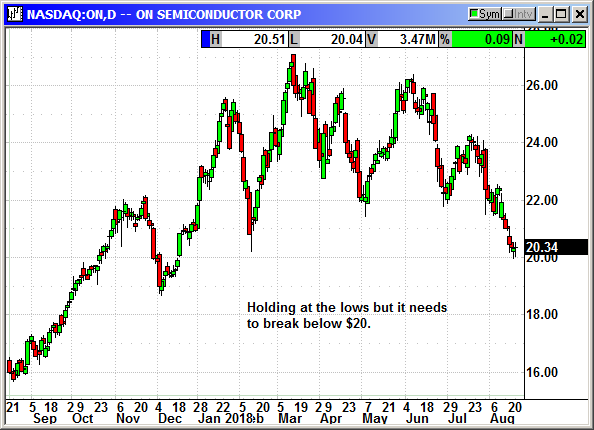 Shares are holding at the recent lows while we wait for the chip sector to move lower. 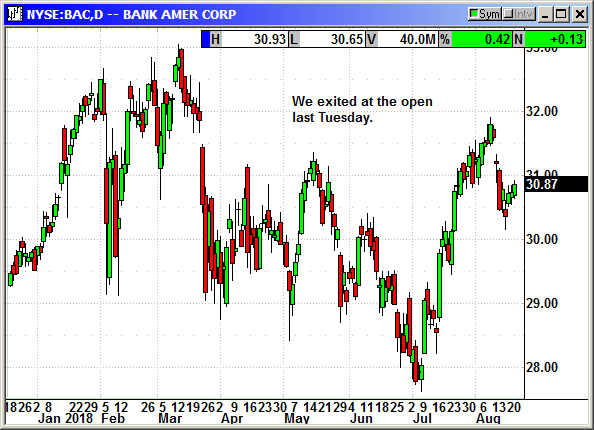 With multiple chip stocks reporting disappointing earnings and guidance the sector is not showing a lot of excitement. 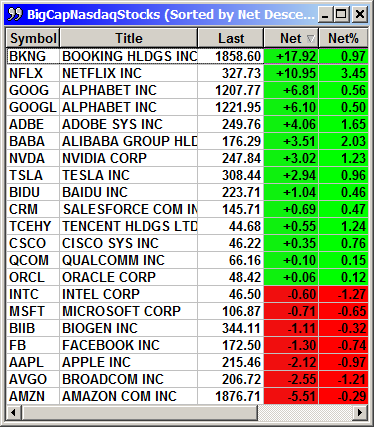 Long Oct $20 put @ $.70, see portfolio graphic for stop loss. No specific news. The decline in several high profile cloud companies has been weighing on SKYY. Shares are trying to rebound again after the Nasdaq decline last Wednesday. Back below $30 after a quick trip to $34 on the Turkey volatility.